Did you know the average person will spend over 219,000 hours sleeping over their lifetime? 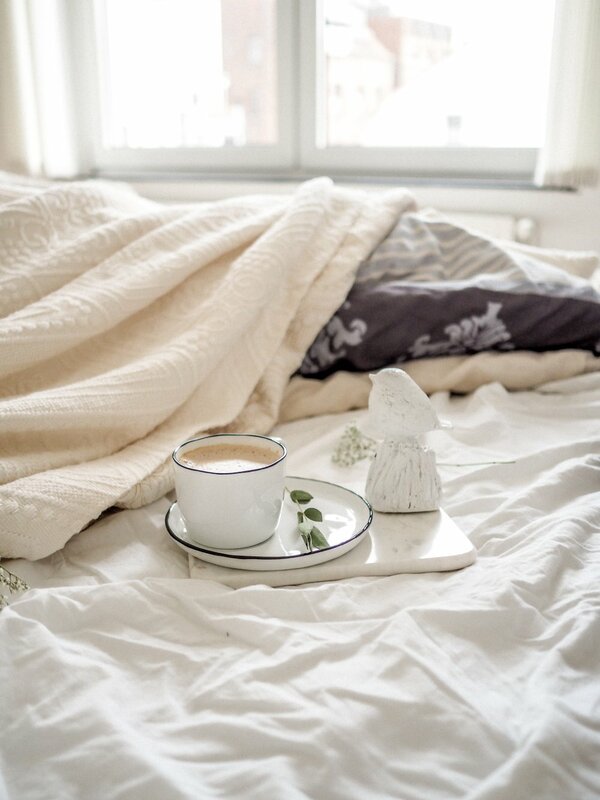 Investing in good quality linens is extremely important for the quality of your sleep! Egyptian Cotton, High Quality Microfiber and Eco-friendly bamboo sheets are great options for a beautiful bed. Some may think, why add throw pillows to my bed? It is not a sofa? We suggest always adding throw pillows on to your beds to add tons of personality and style. We suggest 2-5 throw pillows per bed depending on the size! Play around with the size of your pillows as well! Larger 30 x 30 pillows paired with smaller 24 x 24s add great texture and dimension! Another great way to add style, personality and impact to your space! Art is another one of those finishing touches that bring designs to the next level. We just placing a sizable piece of art above the bed that is only slightly smaller than the width of your bed frame! Play around with different configurations as well, such as: 1 Large Piece, 2 Pieces, Three pieces or even a gallery wall! The design combinations are endless, all you need is a little imagination! Lighting, Lighting, Lighting! Lighting is extremely important in a bedroom design. If you have the space, add two lightsource on either side of your bed, this not only creates symmetry (a design staple!) but it will also allow flexibility for both people in the bed to have light! Pro-Tip: Use soft/warm light bulbs in bedrooms to add a soothing effect. Anything too bright will keep you awake! Extra blankets are not just functional, but they add great design style as well! Add a throw blanket or quilt at the end of your bed to add a polished look. They’ll keep you warm and cozy and look fabulous all the same time! Try playing with colors and coordinating with the other tips above to create a cohesive look! Check out how we incorporated all these tips into our home-tels below! Take it one step further and experience the space in person! Book your stay in our Noor 2-Bedroom Suite in the heart of Chicago’s South Loop neighborhood! Experience our luxurious home-tels! Restaurants in Chicago's Pilsen Neighborhood you MUST try!